Not funny, guys! (Updated) | Me fail? I fly! One of my joys in our new house has been to sit at my desk looking out onto the street and observe the reactions of passers-by to Matilda – Matilda being the Art Student’s first ever sculpture, created from copper piping, wire mesh, plaster and ceramic tiles when she was still The Consultant. It was years of work, a joy in the making and a delight to live with. 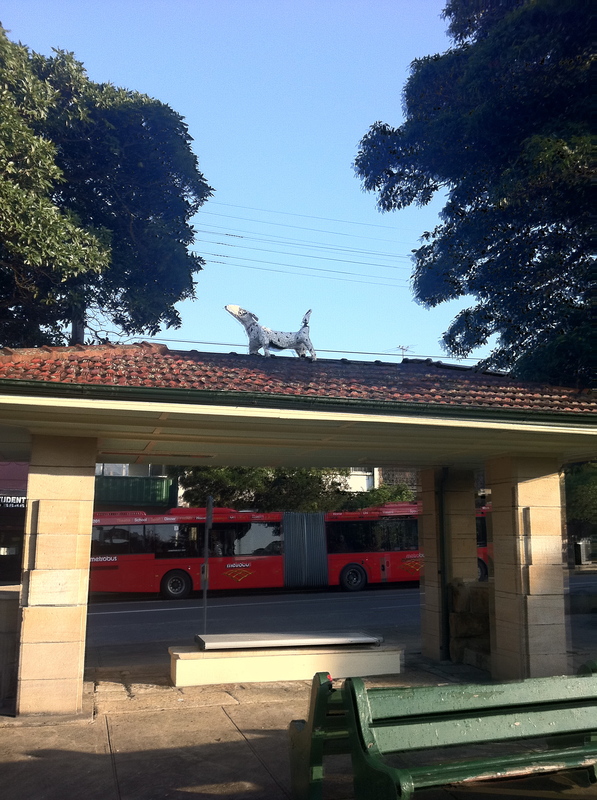 Now, several times a day, I eavesdropped on conversations like, ‘It’s not a real dog, Daddy,’ or ‘Now we’ll just say hello to Spot and then say hello again on our way back,’ or ‘No, you can’t climb in there with the doggy.’ She has become a small neighbourhood landmark. It was obviously meant to be funny. It may also have been meant as a kind of compliment: instead of lurking in the bushes in a tiny front yard, Matilda was set free to sniff the wind above the street. It took some ingenuity to get her up there – at least two men and probably a ladder. This was planned. Our neighbour who sleeps in his front room said he hadn’t heard a thing in the night. It was stealthy. It was also callous. Matilda lost an ear and two of her legs were broken. The Art Student was distraught. I called the Council, the police and the fire brigade. The Council gave me a number and said they’d get back to me. The police said I could ring 131444 and lodge a complaint of malicious damage (it’s not theft because they didn’t keep it), and if they decided to tie up a police officer’;s time with the incident, fingerprints might be taken. The fire brigade said they’d come out in a couple of hours. Then Peter, the guy who’s been transforming our back yard for us, arrived and said he could do it. I held the ladder while he risked life and limb to manhandle the statue back to firm ground. She’s now safely back home. I have no idea how much of th damage can be repaired, or whether the Art Student will ever again be quite so free about putting her work in the public eye. 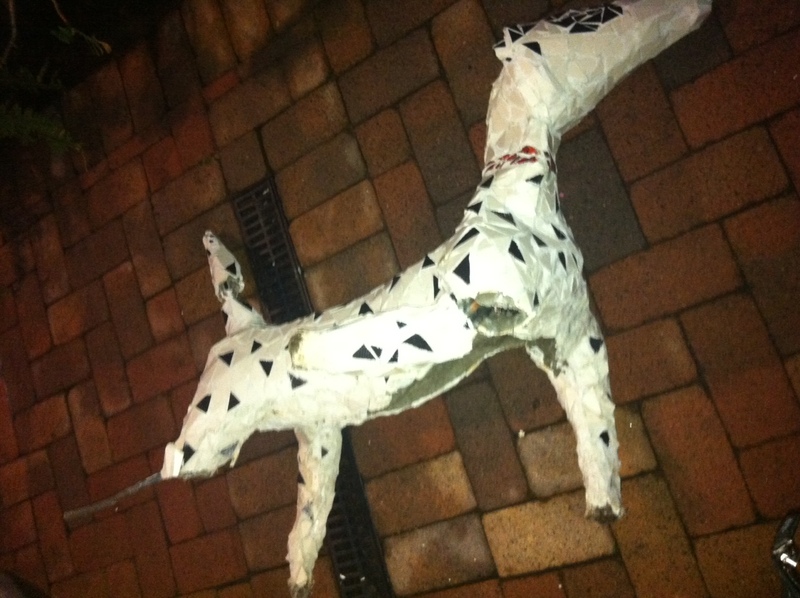 Added in the evening: It’s now clear that the sculpture can’t be repaired. The armature is broken in at least five places. An ear is sheared off. Even if the armature was repairable, we no longer have the tiles that made up the mosaic. This entry was posted in Diary and tagged Street art. Bookmark the permalink. 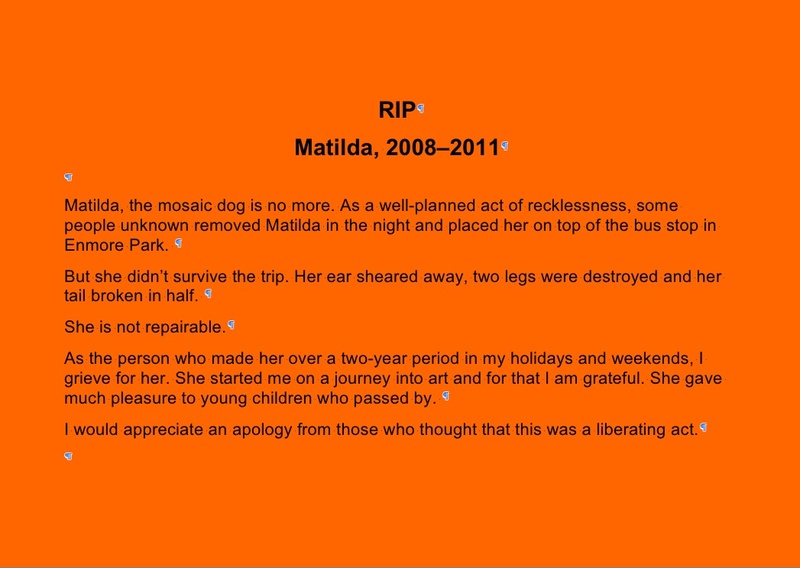 I hope Matilda can return to her pride of place, if only as a reproach–broken ear and all–to the thoughtless *#$%^’s who removed her. The saddest part of this story is the contrast between the neighbors who made her part of their lives and the louts who thought she existed solely for their one night’s amusement. Awww…. first I thought it was funny but then reading on to discover that one of her ears and two of her legs were broken, it most certainly wasn’t. Sorry for your loss it is a terrible thing to do. 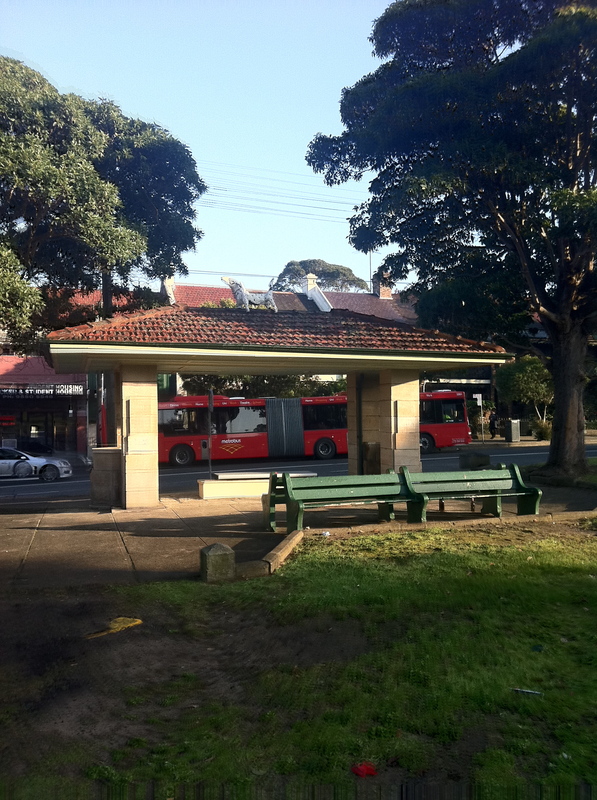 As the planning takes a lot of work in order to place it on top of the bus stop. Hope the ARTSTUDENT can repair it again. She should go back on display. I understand Venus de Milo is still pretty popular despite her limb deficiency. Thanks for all the sympathy. There have been some twists to this tale. No one has taken responsibility or anything as weird as that, but parts of Matilda may yet go out there again and other creators of front yard sculpture exist in this part of the world, and interesting connections have been made.